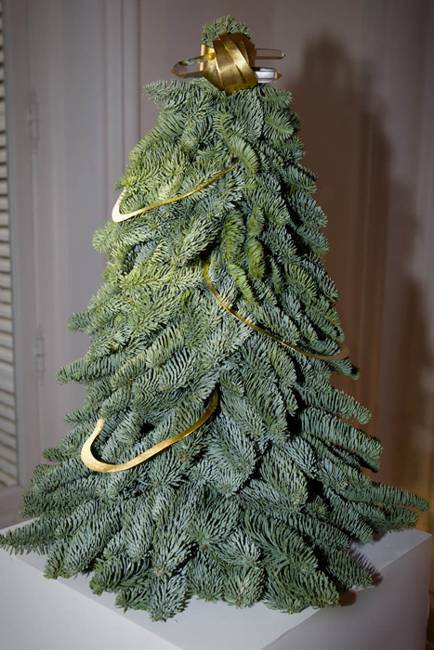 Alternative Christmas trees and innovative holiday decor ideas surprise, amuse and fascinate. 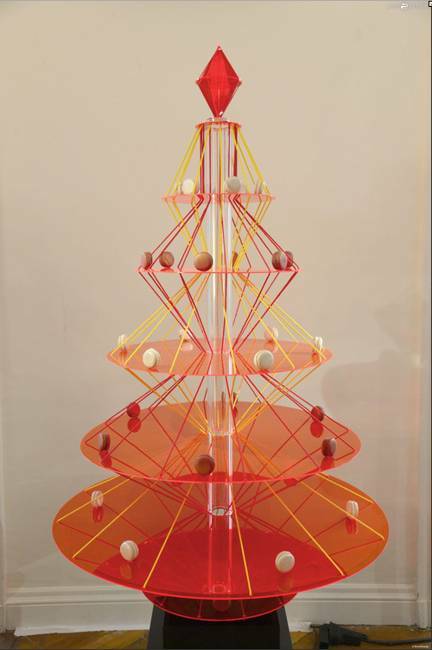 Lushome brings this collection of creative design ideas and alternative Christmas trees from famous designers and companies that delight and inspire to add fresh touches to your holiday decor and celebrate Christmas and all winter holidays in style. 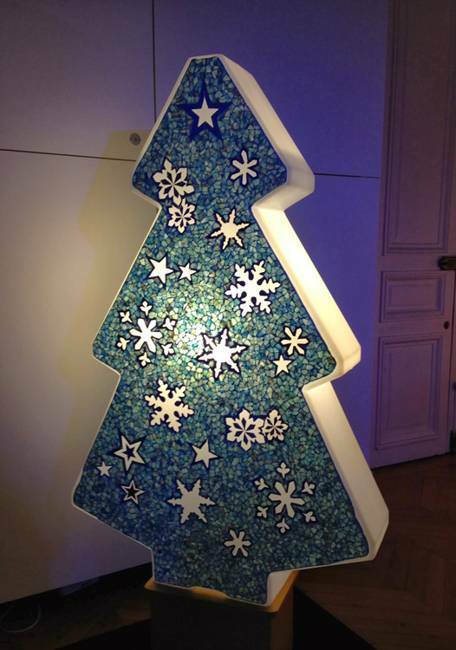 Every year for 18 years a charity event in Paris, called Sapins de Noël des Createurs, brings alternative Christmas trees created by famous designers that experiment with various materials, colors and novel design ideas. 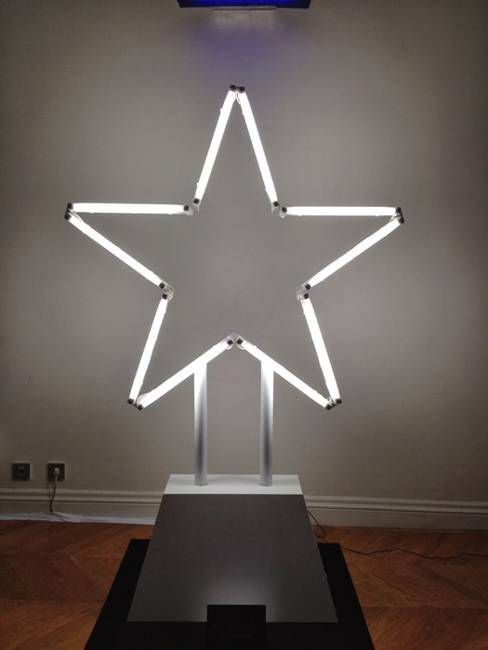 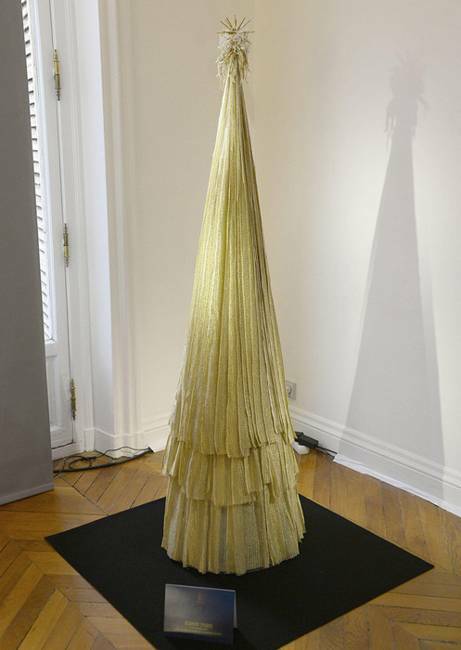 These alternative Christmas trees, designed by Jean Paul Gaultier, Louis Vuitton, Hermes, Olivia Putman, Stella McCartney, Sonia Rykiel, look surprising, interesting and unique. 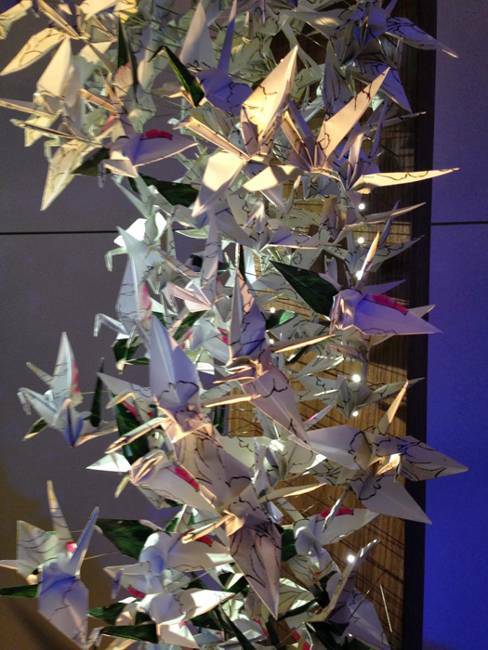 All of these alternative trees reflect the name brands and designers styles. 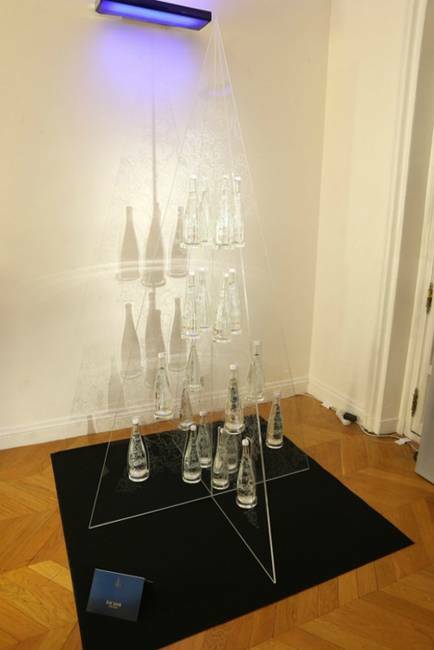 The Christmas tree from Elie Saab is created with transparent water bottles Evian. 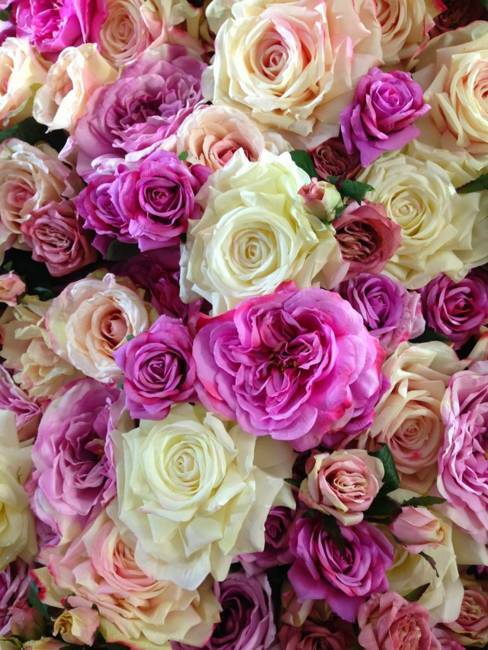 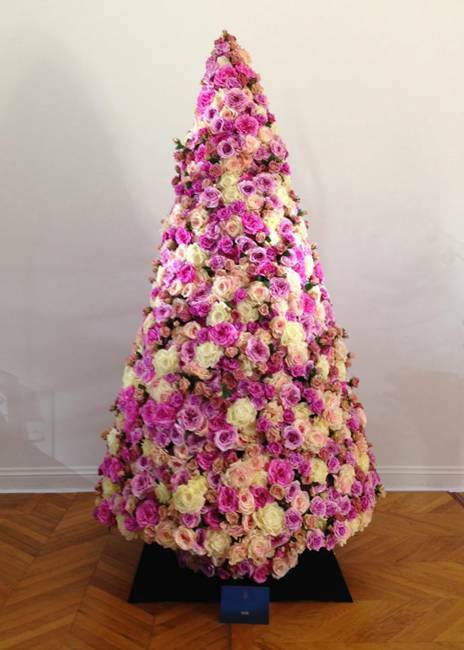 The Christmas tree from Dior is designed with tender pink roses and looks very feminine and romantic. 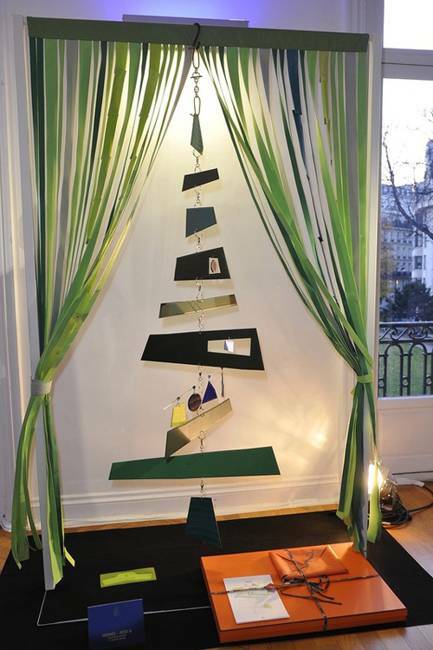 The alternative Christmas tree from Hermes is made ​​from recycled materials. 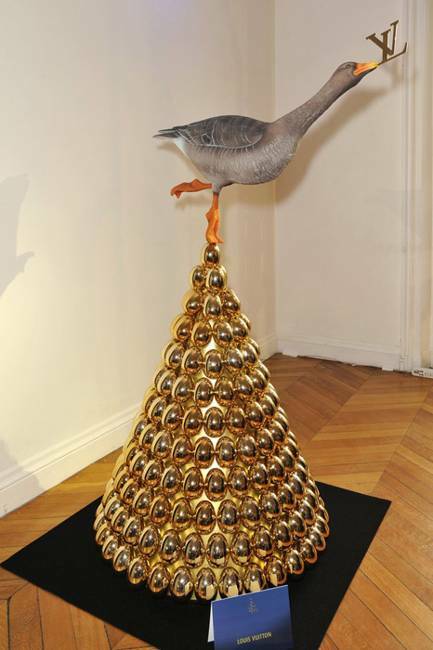 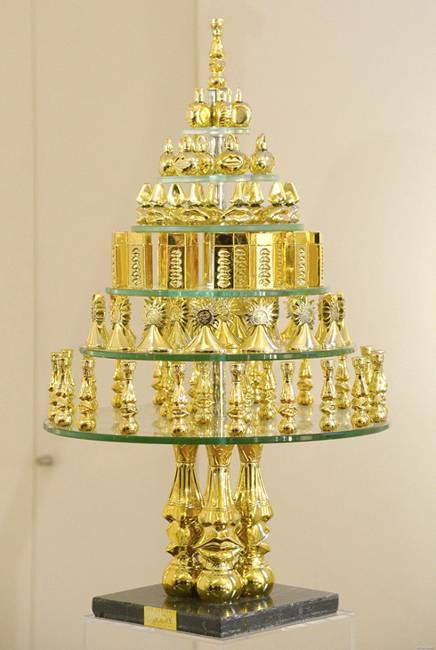 Louis Vuitton presented their Christmas tree created with golden eggs and a goose on its top. 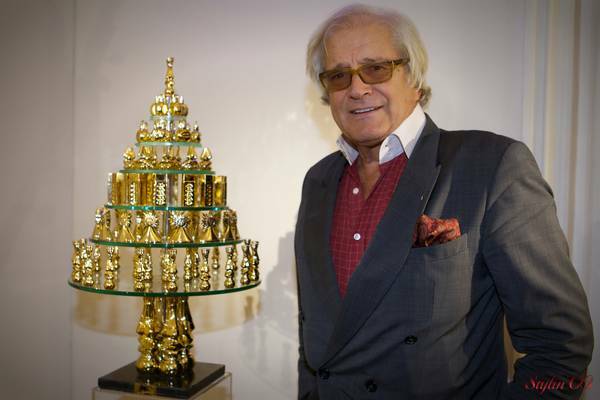 Mosaic artist Lawrence Torno designed a mosaic Christmas tree. 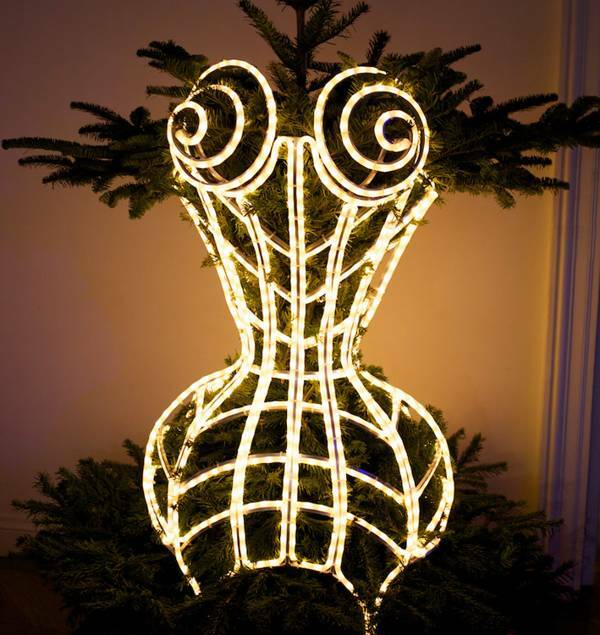 The alternative Christmas tree from Jean Paul Gaultier, is dressed in a glowing corset. 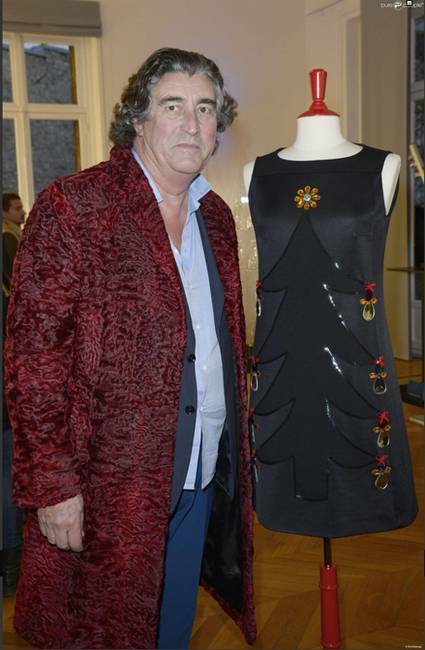 The fashion designer said that a corset design idea is versatile and playful, allowing to experiment with stylish outfits. 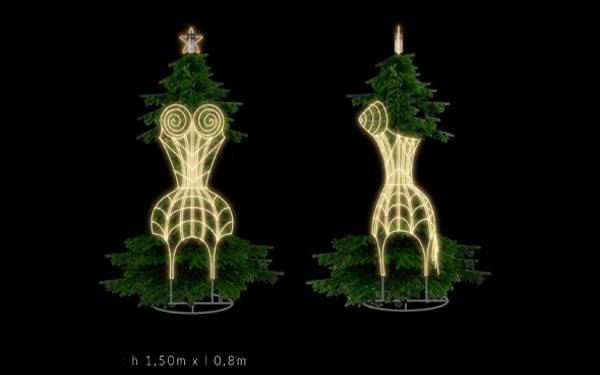 The old corset can be changed and the Christmas tree can be placed inside a new one every year, adding a fashionable touch to Christmas decorating. 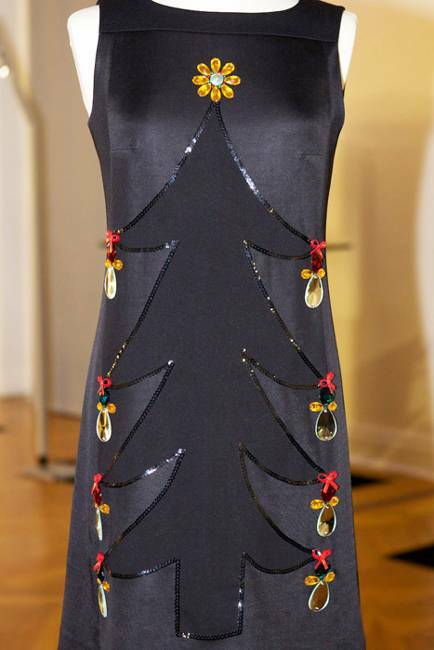 French designer Didier Ludot presented the alternative Christmas tree with decorations on an elegant little black dress that symbolizes the winter holiday. 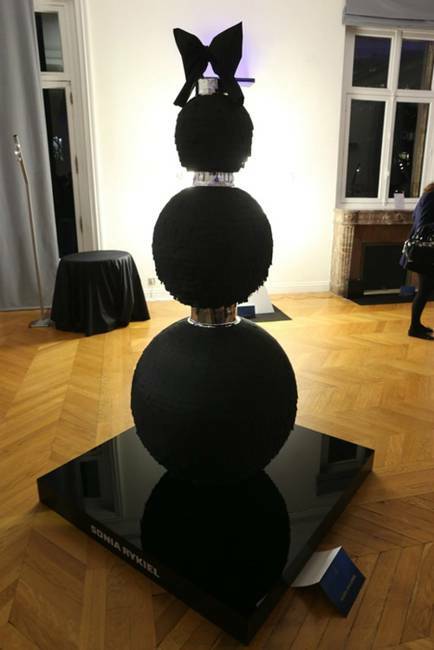 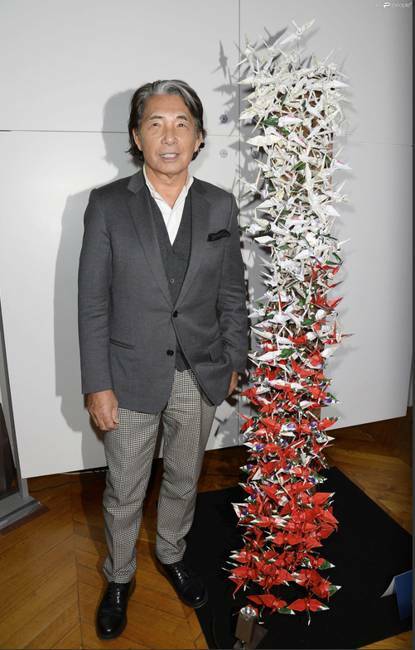 Sonia Rykiel designed the alternative Christmas tree with black balls with stacked tissue paper petals and added the tree topper made with a black ribbon bow. 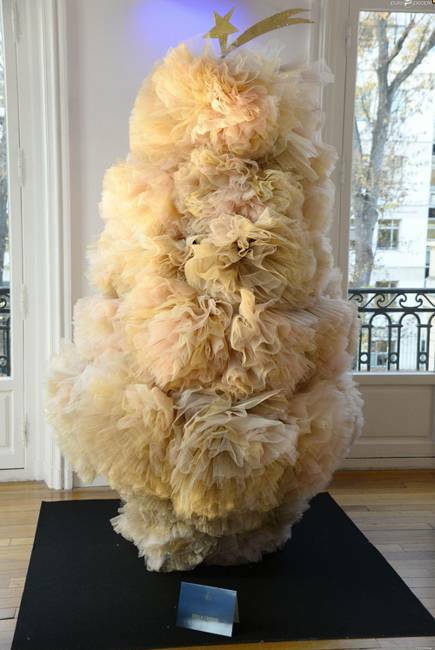 Fashion designer Stella Cadente showed fluffy Christmas tree, blending soft and feminine design idea with the traditional look of genuine Christmas trees.